The Summertime Dance & Theatre programs provide the essential training over the long summer break to ensure students retain their dance fitness and enhance their performance techniques. Ballet Intensives offer students an opportunity to expand on their ballet training with exposure to professional performance skills such as balletic mime, stage make-up and choreography. Students have a wonderful opportunity to work directly with choreographers, experiencing first-hand the creative process that is involved in the development of dance. Dance camps and workshops provide a fun and creative environment for younger students to explore movement, musicality and dance-related arts and crafts. 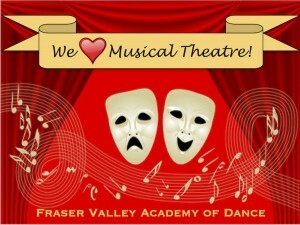 Musical Theatre and Choir Camps provide students with an exceptional experience in singing, acting and dancing. The inspiring Choir Camps offer vocal training, music reading and a varied vocal repertoire in half-day camps as part of our Musical Theatre Camp. The exciting high-energy Musical Theatre Camps offer singing, acting and dancing together with character and role development. Each of our programs brings like-minded children together to enhance their training in a fun, challenging and nurturing environment, developing new skills along with new friendships! All Summertime students perform for family and friends at the end of each week.